Starting from this update, you can service devices on Mediatek MT6261 chip. This solution provides service support for hundreds of popular QWERTY keyboard phones of different brands. How to: service these devices via USB or COM-port. 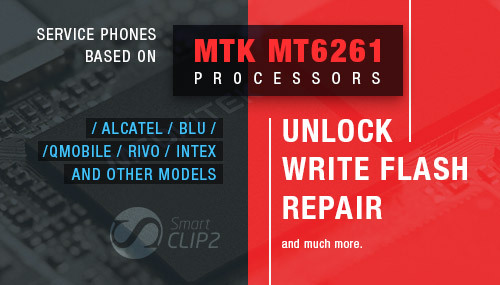 Detailed manuals on how to service MTK phones are available in the Help section on the official website.